If you look closely at the contents of the bottles above, you’ll find my 3 mothers. They’re from blackberry, apple, and pear vinegars, respectively, and I’ve been hanging on to them so I can use them as a starter for the next vinegars I make. 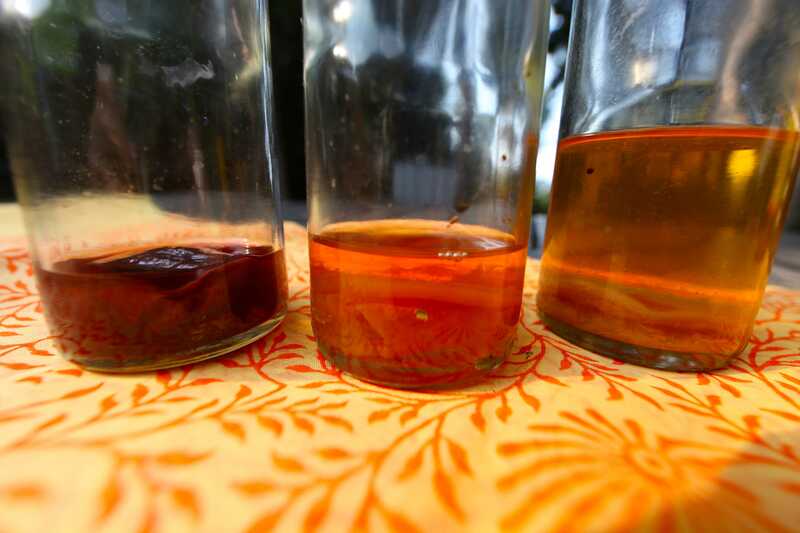 A vinegar’s mother is a gelatinous mass that usually sits at the bottom of your vinegar bottle. It’s a sign that your vinegar is likely organic because it houses a lovely live culture. The mother is actually a type of acetic acid-producing bacteria called “acetobacter” and it consumes the alcohol in your wine, converting it into delicious vinegar. 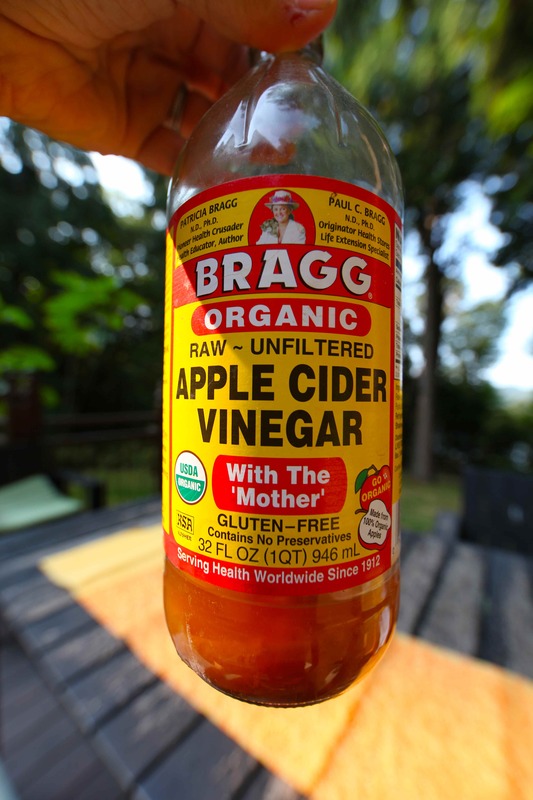 If you don’t have a mother with which to start your homemade vinegar, you can find some in the bottom of a jar of Bragg’s Unfiltered Raw Organic Apple Cider Vinegar. Until I started making my own apple cider vinegar, this stuff was an essential ingredient in our home. It’ll cure you of any cold and is an excellent rinse for your hair. Save that mother and you’re ready to start making your own vinegars. 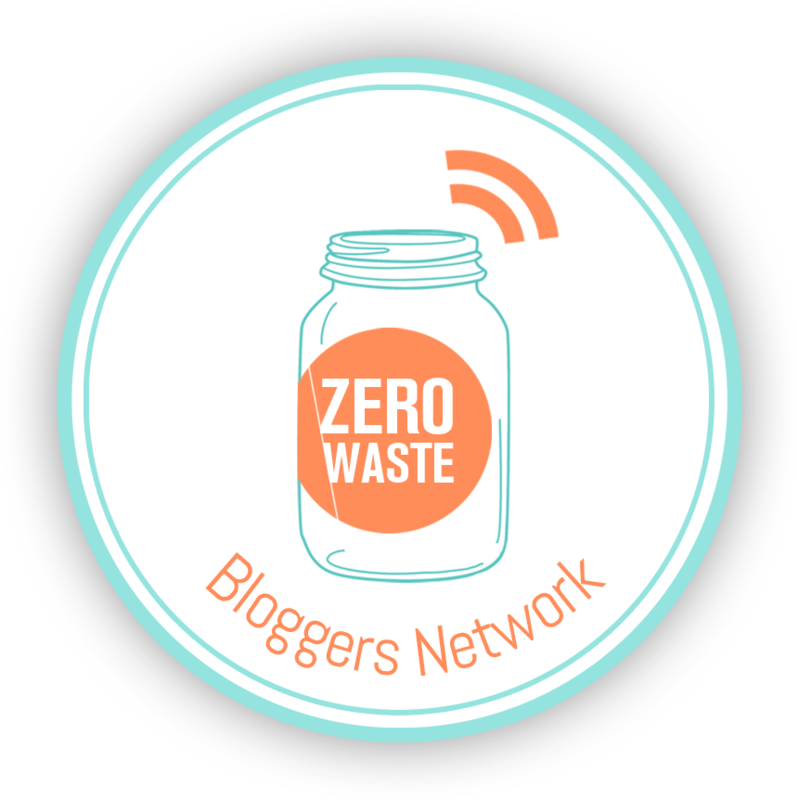 What about fruit vinegar? I make my own throughout the year from scrap apple peels and cores when making pies and apple sauce. 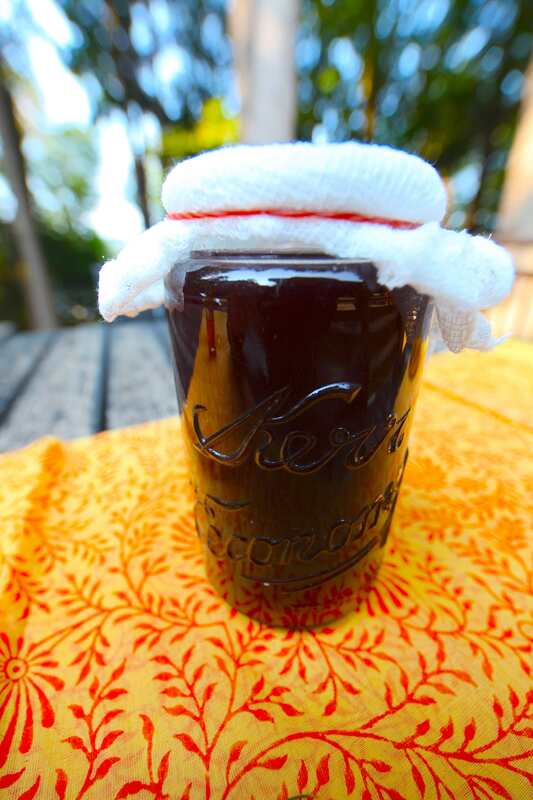 Blackberries from our vines also make an incredibly delicious vinegar. 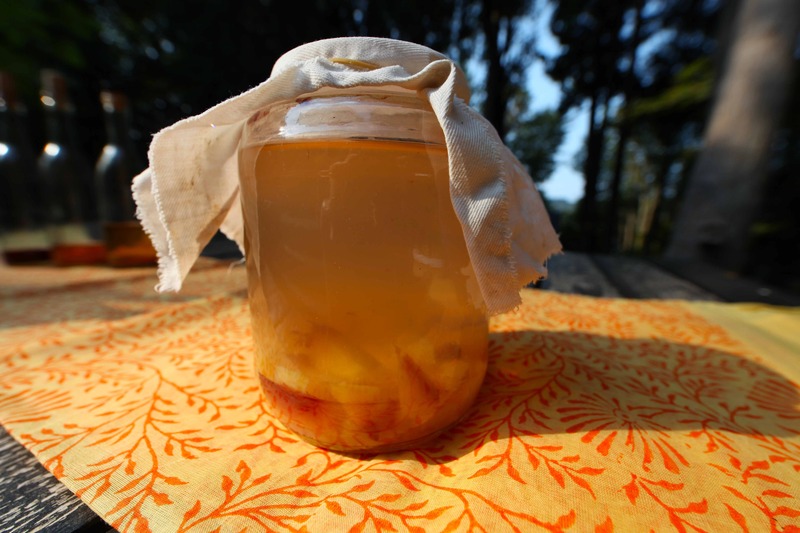 Simply put your fruit scraps in a jar with some water and a “mother” from another vinegar and cover with cloth so the vinegar can breathe. If you get mold because your fruit is on the surface and exposed to air, take the offending mold out and make sure your fruit is totally submerged in the water/mother mixture. Check on your jars periodically, but it’ll take a few weeks for the fermentation and culture to reach its peak. I always go by feel. After about a month I run the vinegar & fruit mixture through a cheesecloth, separating out the fruit but I retain the mother and place it and the filtered vinegar into a pretty bottle and cork it. And as the vinegar ages, like me, it only gets better. Vinegars make great gifts, so you can never make too many bottles! 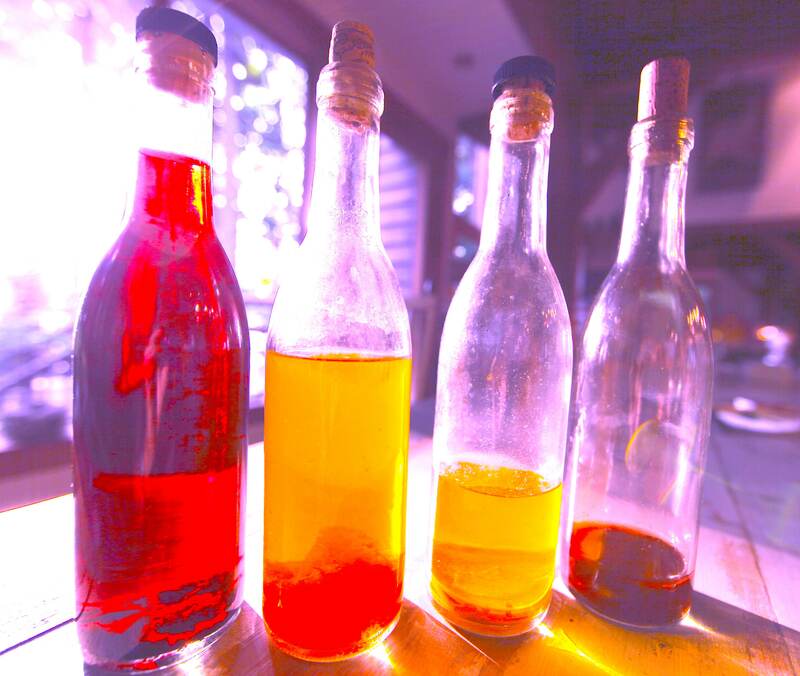 Do you make your own vinegars? Please share your thoughts and let us know what your favorite fruit or wine varieties are. I didn’t make my own vinegars … but from now on, I think I will. I hope you do. You’ll be amazed at how easy it is and how great some of your vinegars will turn out. Good luck, Margaret! I use a bit of cider vinegar in cooking… Fish mainly. But it makes an AMAZING addition to apple crumbles and strudels and pork dishes. I’m laughing, too, because rarely do we have leftover wine. But occasionally we’ll have some and this is a great use for it. 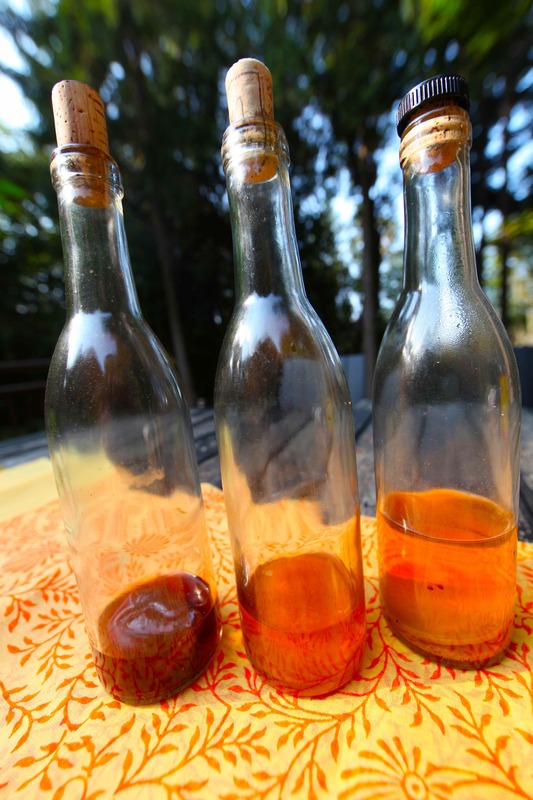 You’ll find a vinegar mother in the bottom of any bottle of organic vinegar. It just forms naturally and looks gross. But it’s worth it’s slimy weight in converting sugars to vinegar.